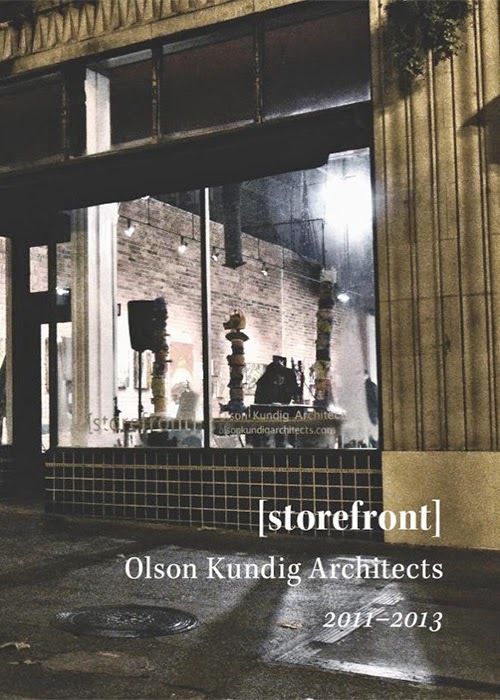 By the time I heard of Olson Kundig Architects' [storefront], what the Seattle architecture firm describes as "an experimental workspace focusing on the firm’s collaborations, research, community projects, prototypes, exhibits, and installations," it was already too late. When I met OKA principal Alan Maskin (who co-directed [storefront] with fellow OKA principal Kirsten R. Murray) in October 2013 and he told me about it, [storefront] had already been closed for a few months. 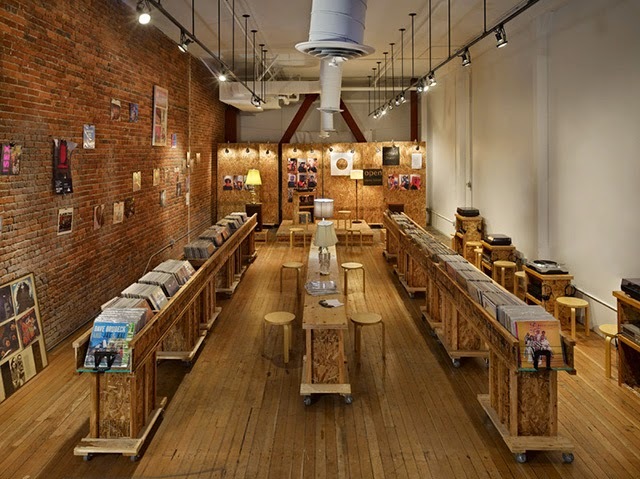 It ran from June 2011 to June 2013 in a storefront at 406 Occidental Avenue, in Seattle's historic Pioneer Square. [storefront]'s two-year run started with artist Mary Ann Peters using the space as a studio to create a custom mural for an exhibit on OKA principal Jim Olson at the Museum of Art at Washington State University, and it ended with DabbleLab, a tent-like installation in the storefront where workshops on urban farming, bike safety, and even fly fishing took place. In these two projects there is an evident shift from OKA-centric to community-centric, from being closed off (if visible) to welcoming the public inside the space (and only working if people come in at all, really). 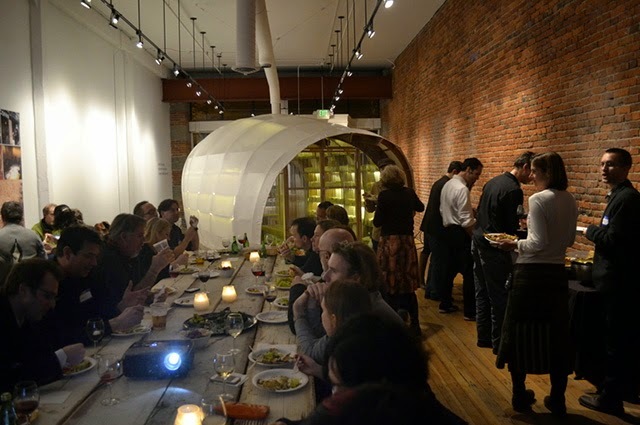 In the 17 other pieces occupying [storefront] for typically one to two months at a time, there is a mix of these two extremes, but for the most part the bulk falls into the community-centric side. This diverse mix of projects is a little surprising, given that most architects occupying storefronts use the once-retail spaces for offices (OKA's office is on the sixth floor of the same building). Yet in a survey I compiled for World-Architects in 2012 of architecture firms occupying storefront spaces, there were some noticeable if small efforts to use the sidewalk exposure for more than inexpensive office space or highly visible publicity for the firm. Architects share storefronts with artists or they set aside part of the space as a gallery (rotating their work and other architects/artists). 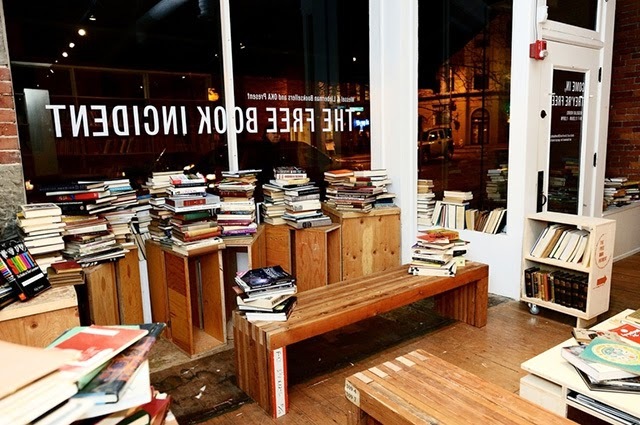 Yet setting aside a storefront space explicitly for interacting with the public through various experimental programs is a pretty novel idea, and one that justifies this self-published book documenting the 19 projects that occupied the space over 24 months. Some of the projects I would have loved to have visited include: Record Store (December 2011), which functioned as a "cultural commons" with listening parties inspired by "Theaster Gates: The Listening Room"; Mushroom Farm (February 2012), a, well, mushroom farm that gave OKA the chance to explore BIM and CNC technology, and that incorporated a table for community meetings; Hardware Store (May - June 2012), which looked at old hardware and new designs by OKA principal Tom Kundig; Skid Road (August 2012), which looked frankly at the homelessness and lack of employment that has long existed in Pioneer Square; Table Talk (November 2012), which tackled difficult topics (death, in particular) through dinner conversations on an OKA-designed table, broadcasting the conversations on the Internet and to passersby; and The Free Book Incident (January - February 2013), which looked at the sharing of ideas when books were de-commodified. The publication naturally comes after the completion of [storefront]'s two-year run, but it also comes when many architects are stoked to do something beyond just designing private commissions or spinning their wheels on competitions. Socially engaged architecture is hardly a fad or a means of gaining commissions by "looking good"; it is a way of interacting with more people more directly and of exploring how to make a difference through more than form-making (it is also cheaper and quicker than traditional architecture). [storefront] is but one way of doing it, something that arose from the particular circumstances and context of OKA. It is not a formula to be replicated, but nevertheless the book offers lessons (partnering with community group and sponsors, for example) for those interested in similar endeavors. Personally I'd love to see more architects using storefronts or other public/semi-public spaces to engage the broader public in numerous ways. Hopefully then [storefront], through this book, is hopefully just the start of more experimentation to come.